NUL Season 7 has ended with the Orkitis B.C. coached by Luiggi winning the championship over Barmution's dark elf team Druchii Smuchii Schmoo. 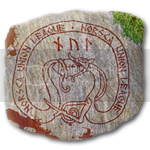 After the finals had been played, the sun and summer arrived, so currently NUL is taking a short summer break before the season 8 kick-offs August 6th. - League structure will be decided during week 31 (from July 30th to August 5th). - Season 8 will definately kick-off Monday August 6th. - First two weeks of season 8 will be played with schedule of 1,5 to 2 weeks of "real-time" weeks per 1 in-game match week. After this the schedule will change into normal 1 match week per 1 week. 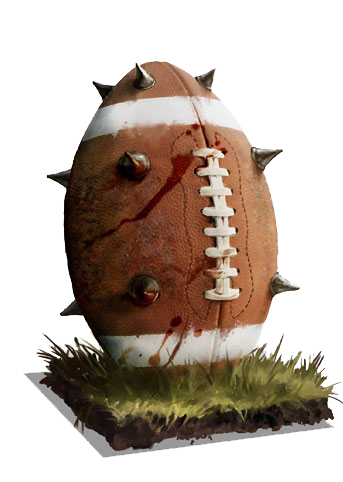 NEW COACHES ARE ACCEPTED UNTIL DAY BEFORE THE KICK-OFF DATE - provided a) that there will be even number of coaches in the new team league, b) newcomers get registed in the forums and in the client before the kick-off date. - Old and ancient coaches may use their "old" Valhalla or Ulls (season 4 or earlier) teams, fish-seasoned (seasons 5 through 7) teams or fresh teams. 5: The Coordinator will put you on the participant list in this post. 1: Reply to this post or send a PM to the Coordinator and state that you want play next season using a previously used team. 2: The Coordinator will put you up on the participant list in this post. 1: Reply to this post or send a PM to the Coordinator and state that you want play next season using a fresh team. 2: 2: The Coordinator will put you up on the participant list in this post. Soo, do we have any new recruits? Would be good to fire this up again, depending on the "masses" I'm open for anything regarding teams. But time is closing in..
whaz up folks, you have had/having/will have a nice vacation? Mine is ongoing and it's great! I have one friend (Lars) who have created an account here, but he's out sailing right now. I *think* he will be back by next week so he should be able to join us. I have another friend that applied for an account this week but it has not been approved yet, otherwise he is ready to join. Good, thanks for the info. Strange, check that please, there are none who is awaiting an approval. I approved one new member this week, can't remember the name but e-mail address was from Sverige. So that's probly him. I am the other friend of hakos. I want to join with a new team. Not sure what race yet, but probably high elf. Hi I am Lars the friend of Hakos I would like to join this league but will have trouble to join in this season due to vacation and lack of computers and internet during the startup phase of this season. By the time the next season starts I will be ready to join in. Based on teams there would be a nice split for a championship division and rookie division but the uneven number of coaches is not good. There's still some time, so let's hope someone turns up. Lars, just in case, when would be the earliest time that you'd feel OK starting the league? No pressure, just checking how late into August we'd be going. A) One group with all rookie teams, upper TV limit being 1240 based on Vinterlegionen's TV. We'd need 1 more coach or 1 dummy team. 10 teams = 9 match weeks. - B1) High TV group with 4 teams (one high TV coach would change into low TV with new team, I'm volunteering for that). Low TV group with 6 teams (either a) 1 new coach or b) 1 dummy team or c) another coach from Hight TV group could play with a fresh team - that is one coach would be playing both in High and Low groups with two different teams). 5 match weeks in low TV, 4 in high TV. - B2) High TV group with 6 teams (either a) 1 dummy team or b) a coach from low TV group would play with 1 of his existing teams in this group and 1 in fresh team in low TV group = 1 coach with 2 teams). 4 teams in the low TV group. 5 match weeks in high TV, and either 3 or 6 match weeks in low TV. All right, let's here your opinions and thoughts guys! What do you think we should do? PS. My summer vacation is still ahead, I'll start my holiday on August 20th. I know that the 2 weeks before my vacation will be extremely busy at work but I'll try to keep up with the NUL as actively as I can. I can play with a high TV team if we decide thats the best thing to do. I don't think we should have a dummy team. 1) Get one more player, I will talk to Lars once more. I believe he have vacation another two weeks, so after that he might be able to start, but I don't promise anything. 2) One coach playing two teams in different divisions, however, what happens after the division play? I assume there will be something similar as in season 7 there the two divisions are mixed in a play-off series. Which could mean that the two team player can meet himself. It is ok for me to just decide a winner, but I would like some comments about how to do this before the league starts. By the way, what will happen in a possible play-off with 9 or 10 teams? Is that even possible? Would it be possible to only have 8 teams in the play-off and say the last team in the second division will not advance to the play-off? One more player would of course be best but we can't wait forever either. If one player has two teams we'll have to have two separate leagues with a separate playoff league. A player can't have two teams in the same league but I at least would be fine with dropping the spot with one of the teams and letting the next best team go through. They are used to divide NUL in two groups independent. So players Can join both to increase teams to 6 if needed. There will be No final games between the two groups. 1) Get new player, as long as it doesn't push the start date too far. 2) One or more players play with a team in each league. I cannot do this myself due to the time it takes, unfortunately. 3) Dummy team in one or both leagues.